WALTHAM, MA – May 16, 2016 BlueSnap, a global payments technology company, announced today that MasterPass™ by MasterCard® is now available in its Powered Buy Platform to give merchants the frictionless checkout experience they need to reach global shoppers and solve checkout abandonment with higher payment conversions. MasterPass by MasterCard is a global, digital commerce platform that connects consumers with merchants, enabling them to make fast, seamless and secure digital payments across devices, any way they want to shop. With the BlueSnap and MasterPass integration, merchants have access to a robust, full feature global checkout experience. BlueSnap automatically routes transactions to multiple acquiring banks globally to ensure maximum payment success rates and research shows that reducing friction at checkout drives higher payment conversions. “MasterPass gives our merchants the power to offer a frictionless online checkout experience for global, mobile shoppers. 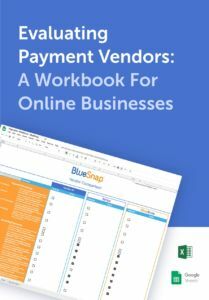 We are excited to help our merchants sell all over the world with the highest payment conversions,” said Ralph Dangelmaier, CEO of BlueSnap. BlueSnap’s Powered Buy Platform provides flexible integration, empowering merchants to deploy the best checkout experience to engage their customers – from API to turnkey embedded checkout. Connections to multiple acquiring banks around the world are provided through a single integration along with failover capability to maximize payment authorizations. The Platform also offers value-added features such as dynamic ecommerce tools such as special offers and coupons, subscription billing, fraud prevention and chargeback management. This robust solution is designed to increase conversions by as much as 40 percent.